Two teenagers were caught trying to spend a night in a store by hiding inside of a toilet paper fort. Investigators discovered that a 13-year-old girl and a 16-year-old boy had gone to the Simcoe, Ont. store on Monday night and secretly began building a fort out of toilet paper within one of the store’s aisles. The pair returned the next day, hid inside the fort and fell asleep. The teens woke up early in the morning and realized store employees were restocking shelves. The teens then ran to the store’s bathroom to hide. Officers took the teens back to their parents. No charges are expected. According to an OPP press release, the pair had been inspired by several prank videos they’d seen online. The challenge involves people filming themselves secretly building a fort from items within the store and attempting to spend the night inside. 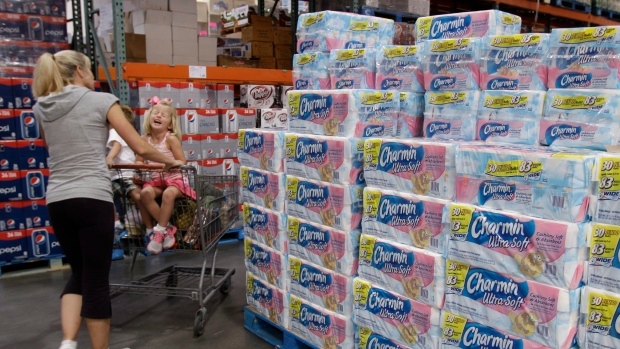 Some pranksters have attempted the challenge in stores such as Costco, Walmart and Toys R’ Us.